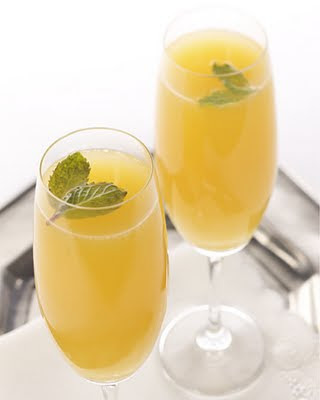 July is one of my favorite months because the skies are usually a gorgeous deep blue and the weather inspires sunshiney fun :) One of the best July treats, in my opinion, happens to be mimosas for brunch, whether on a restaurant patio or outside on my own balcony! Your challenge, should you choose to accept, is to share your favorite cocktail recipe! The most delicious sounding recipe will earn a featured post here tomorrow! Remember, you must post the recipe on the Facebook fan page to qualify for the featured post here. *Include a photo of the dish if you have one! They look so yummy and refreshing!